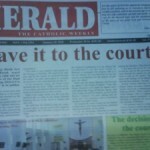 umno behind the church attacks – welcome! and maybe plus the surau attack too….. but what else is new eh?? many of us had already long suspected that umno is behind the church attacks. ok we suspect or we speculate only. we are not sure. the suspects caught may be young unknown people…. but not many believe they attacked the church on their own. somebody paid them to do it. 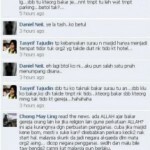 and that somebody (or more than 1 of course) is from umno, perhaps even some umnoputera who are ex ministers. yes, we suspect and we are not sure but yesterday i came across two places that confirm our suspicion on umno behind the church attacks. 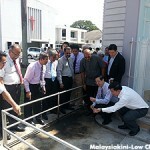 first in malaysiakini, the news ‘umno members among tabernacle arson attacks’. A PKR vice-president has claimed that Umno members were involved in the arson attack against the Metro Tabernacle church in Desa Melawati earlier this month. Azmin Ali said he is in the process of collecting evidence and will release the information in the near future. He was speaking at the Masjid Jumburiyah in Taman Dato Harun, one of two mosques desecrated with two wild-boar heads today. Azmin, who is Gombak MP, said at least four of the eight remanded over the attack are Umno members from the Gombak and Ampang divisions. “The Umno president should explain why these members were involved. This was a cowardly act by Umno Youth,” he said. He told reporters that the full name, Mykad number and Umno membership number of those involved will be made public as soon as possible. “It will not be difficult to obtain these details. I even know which branch they are from,” he claimed. I had tea with some UMNO people early this week. 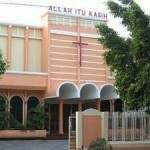 They confirmed that UMNO was behind the initial church attacks. see? even umno members themselves confirmed it. people, umno is really getting desperate now and will do anything to make sure they stay in power (or that they come back in power – like the mourning guy ex selangor MB), so be careful! do not fall into their trap! hey police, come do your job!